Barack Obama’s Deep State has schemed to wreck the Trump administration from day one. Jeff Sessions revealed he’s been holding an ace up sleeve that could topple Obama’s Deep State. Sessions announced he had appointed John Huber, US Attorney for the District of Utah, to investigate the FBI and Department of Justice for abuses of power in obtaining a FISA warrant to spy on former Trump campaign aide Carter Page. Huber is not being appointed as a special counsel. Republicans in Congress had requested that decision. But Sessions is letting Huber help with the investigation and that will determine if a special counsel is needed. “Attorney General Jeff Sessions sent a letter in reply to a group of leading Republicans on Thursday, indicating he would not be appointing a special counsel to investigate certain aspects of the FBI’s handling of probes into Russian election interference. 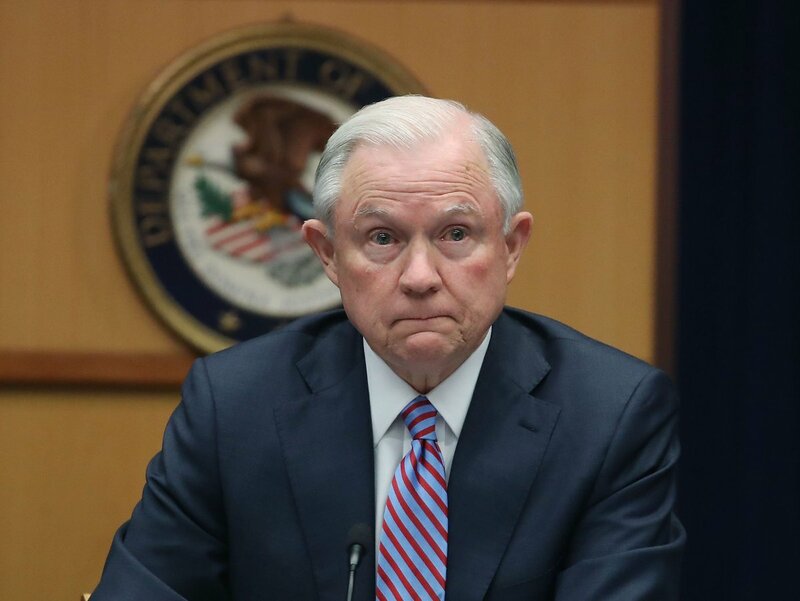 Instead, Sessions announced he would assign regular top-level federal prosecutor U.S. Attorney John Huber of the District of Utah to assist Justice Department Inspector General Michael Horowitz in his investigation of issues like FBI bias against President Donald Trump before and after the appointment of Special Counsel Robert Mueller, and the Bureau’s relationship with Fusion GPS’s ex-spy Christopher Steele. Huber will have the authority to recommend the appointment of a new special counsel to prosecute criminal matters if he sees them arise. Trump supporters should take heart that the allegations of misconduct are being investigated seriously. Sessions was not just sitting on his hands while the Deep State ran free. He appointed a prosecutor to investigate the wrongdoing at the FBI and DOJ. Now it’s just a matter of letting the investigators do their jobs and wait for their findings.